​as a creative person and an artist. Save the dates or register now and save your space. Contact Helen about private lessons or to bring a workshop to your community. An introductory watercolor workshop designed for absolute beginners as well as for those who have had some experience painting with watercolor but need a refresher to gain the confidence to start again. Join Helen to learn or re-learn the basics of watercolor as well as experimental wet-into-wet watercolor techniques that will give you a good enough understanding of the medium to start working on your own. This workshop does not require a lot of drawing skills. (May be combined with Advancing Your Watercolor for a four-day intensive). 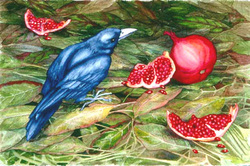 A watercolor workshop for intermediate and advanced watercolor painters. Designed as a watercolor workshop for artists with some experience, interested in advancing their creative and technical approach to watercolor painting, and in expanding their subject matter. Build upon the skills you have acquired to create stronger artworks. Participants learn how to improve what they already know how to do for the best possible effects. Learn new strategies for expanding your work to find you own authentic content and approach as an artist. May be combined with Watercolor: A Fresh Start for a four-day Intensive). 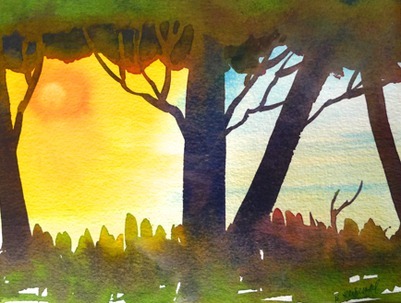 4-day Watercolor Intensive, 5/28-5/31, 2019, UW-Arboretum, Madison, WI, combining two 2-day workshops. ARTISTS AND NON ARTISTS WELCOME! Re-Vision Mixed Media Art & Creativity Intensive three days and four nights at the beautiful Björklunden Lodge in Bailey's Harbor, Door County, Wisconsin. Stay at Bjorklunden or commute for the workshop. Private or shared lodging. 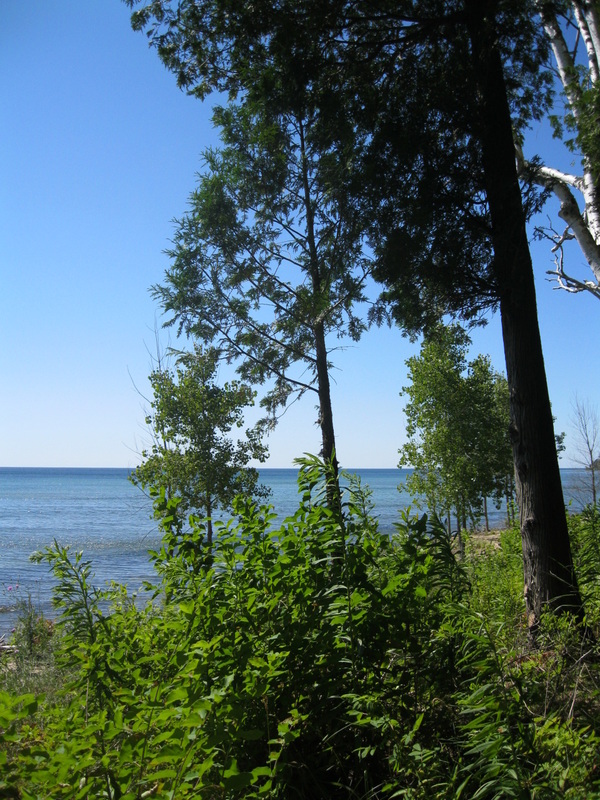 Your spouse is welcome to come along and enjoy Door County too. The Re-Vision Mixed Media Art & Creativity Intensive is an arts-based creativity expanding experience for artists and non-artists. Spend three days and four nights in beautiful Door County at a lakeside lodge in the off season. Arrive Sunday evening and have supper with the other Intensive participants (commuters invited for Sunday evening meal too), The workshop will take place 9:00 AM - 4:00 PM daily October 21-23, (with a 2 hour break at lunch to walk or nap before the afternoon activities). Leave after breakfast on Thursday, October 24, 2019. Spend mornings, 9:00-12:00, enjoying mixed-media, watercolor, and/or other drawing and painting media in guided exercises designed to explore your creativity and help you move yourself forward as a person and an artist. Spend afternoons in additional open studio and arts activities with coach/instructor Helen Klebesadel until 2:00-4:00 daily. You will have 24 hour open studio access to the art studio. Guided exercises are designed to help you bring your most authentic voice to your life and your art and to discover, re-mind, re-cover, and re-member your vision for yourself as a creative person. Artists will discover new motivation and content for their artwork, and non-artists will better define their life visions for themselves as creative people. Embrace your greatest vision for yourself as an artist and a creative and join us in pursuing the goal of imagining your next action steps toward that vision of yourself as the most whole person you can be. 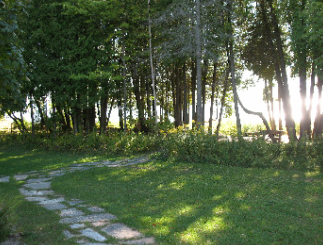 Guests may join you and share a room for the cost of double lodging and meals. Ask Helen about this option. Registration is being handled by Helen. Register coming soon. Questions? email <Helen@Klebesadel.com> or call her at 608/262-3056 for other options. A supply list will be sent with registration confirmation. you would like to experience a workshop? 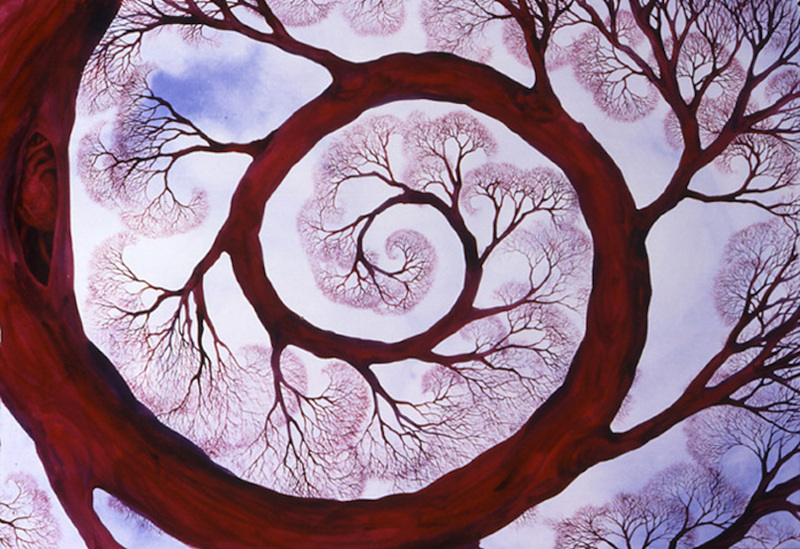 Artist Helen Klebesadel offers in-person and on-line watercolor, general art, art career, and creativity workshops as well as creative coaching. Occasionally she teams up with other wonderful artist/teachers to create opportunities for artists to grow, learn and overcome the internal censors that keep us from risking what we are comfortable with to explore greater possibilities for our art and ourselves. Helen has been invited to teach watercolor, mixed media, art career and creativity workshops from Switzerland to Texas to Alaska, and of course her home state of Wisconsin. For years she has also mentored and supported other artists seeking a more authentic creative voice, personal art, or meaningful careers in the arts. Watch this website for opportunities to share your art and aspirations with other creatives in one of her face-to-face or on-line workshops and classes, or contact her to discuss personal coaching or consulting sessions in-person or bu phone or email. She is a featured artist in the online gallery at www.portalwisconsin.org, and was interviewed about her art on the Artsy Shark Blog. You can learn more about her artwork at www.klebesadel.com. Helen's teaching was also featured in an article in American Artist On-Line, "Teaching Watercolor Workshops to Beginners: Pitfalls to Avoid," by Leanne MacLennan. Watch for the next round or email Helen and ask her to add you to here mailing list. Define the vision of where you want to be artistically and professionally, and then begin to chart a path of the steps to get there based on your personal values and career goals. This is an over-view process that helps participants think specifically about how to turn a vague dream into a plan with specific goals and an abbreviated business plan. For more established artists, already on a path, this workshop can help you reflect on where you’re headed and decide if you are building the career and business as an artist you actually want to have or if its time to recalculate and adjust the path. For more established artists, already on a path, this workshop can help you reflect on where you’re headed and decide if you are building the career and business as an artist you actually want to have or if its time to recalculate and adjust the path. - Envision the business you want to have and your path to move forward. - Define your personal idea of career success based on your values and larger goals. - Expand and claim the big vision, while gaining clarity about the specific smaller steps that lead there. Your portfolio is the core of your promotional material and, combined with social media, becomes your best visibility tool for your art business. This workshop will review the essential elements: your artist statement, your résumé, and selecting strong work samples. Identify communication tools to fit your needs, craft engaging messaging, and build a basic promotions strategy with actionable steps to get the word out. Learn core functionality, and best practices to help you build an online social media strategy for your artistic business as you consider if such tools as Facebook, Twitter, Pinterest, Etsy, and/or Instagram are best for you. Watercolor A Fresh Start: An introductory watercolor workshop designed for absolute beginners as well as for those who have had some experience painting with watercolor but need a refresher to gain the confidence to start again. Join Helen to learn or re-learn the basics of watercolor as well as experimental wet-into-wet watercolor techniques that will give you a good enough understanding of the medium to start working on your own. This workshop does not require a lot of drawing skills. Are you interested in being more effective at what you are already doing? 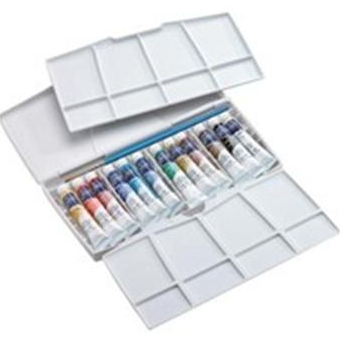 Do you want to loosen up or gain more control over your watercolors? Are you interested in discovering new motivation and your own unique subject matter for your artwork? In this workshop, you will explore both skills-based and creative process-based strategies for expanding your artwork, how to find your own authentic content and approach as an artist, and have lots of fun doing it. New ~ Painting with Watercolor on Canvas: Stop framing your watercolors under glass! Try new techniques on canvas and other non-porous surfaces! This is a three day workshop is designed for artists with intermediate through advanced watercolor experience, and who are interested in learning how to work with watercolor on. Participant will learn the basics of how to use watercolor on watercolor canvas, Aquabord and nonporous surfaces in a group class setting. This unique workshop experience will encourage expressive experimentation in this relatively new approach to watercolor on nonabsorbent substrates. It will provide an opportunity for artists to learn a new approach to an old medium and participate in a unique exhibition experience. Take the whole series, individual classes by topic, and/or include an additional open painting studio (4:00-6:00) with the class for a full day of painting ~ 5 sessions total. Topics: Water and Color Basics; Washes and Expressive Mark-making; Controlling Wet-into-Wet; Texture and Adulteration; To Resist is Good. Take the whole series or individual classes by topic, ~ 5 sessions total. Topics: Inspiration by Chance; Positive Shape Painting; Negative Shape Painting; Techniques that will get you kicked out of the Transparent Watercolor Society; Watercolor on Canvas and Synthetic Papers. Available as a one day, two-day, three-day or week-long workshop. Contact Helen to set something up for your community. No art experience is necessary to enjoy the Re-Vision Art and Creativity workshop. This is an arts-based workshop designed to help you bring your own most authentic voice to your life and art and to discover, re-mind, re-cover, and re-member your vision for yourself as a creative person. This creativity coaching through art workshop uses collage and other arts based media exercises to help you to embrace your greatest vision for yourself as an artist and/or creative person, and to imagine your next action steps toward that vision of yourself as a whole person. Are you ready to start to embody your greatest vision for yourself as an artist and a creative person? This workshop could be the next step. The Re-Vision Water-media Workshop is an arts-based creativity expanding experience designed to help you bring your own most authentic voice to you life and/or art and to discover, re-mind, re-cover, and re-member your vision for yourself as a creative person. This creativity coaching through art workshop uses focuses on the use of watercolor/water-based media along with mixed media exercises to help you to embrace your greatest vision for yourself as an artist and/or creative. The goal is to imagine your next action steps toward that vision of yourself as a whole person. Are you ready to start to embody your greatest vision for yourself as an artist and a creative person? This workshop could be the next step. 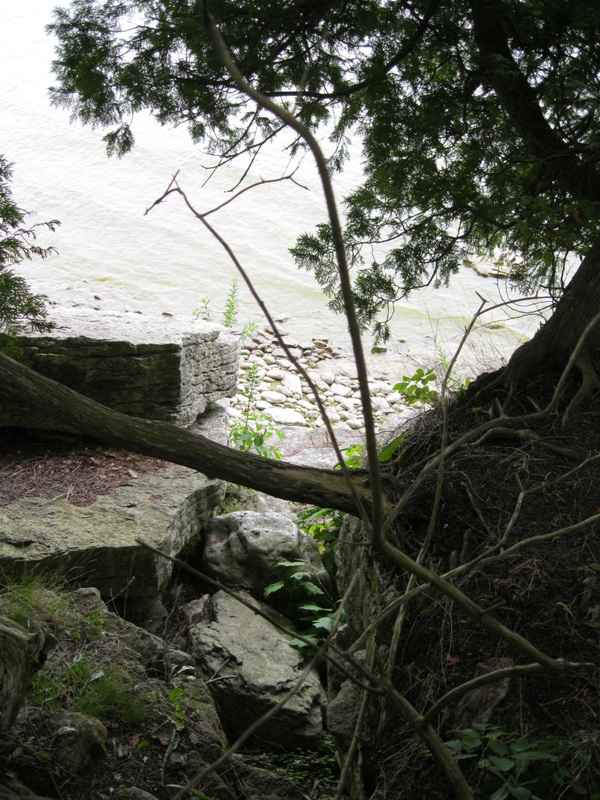 Connect more deeply to nature through observation. This class is perfect for beginners or experienced artist/journalists to create a personal record of unique perceptions, feelings and thoughts about the natural world using writing, doodling, sketching, drawing, and/or water-media painting techniques. Learn to use arts and creativity as a practice of mindfulness and gratitude. Supplies required. 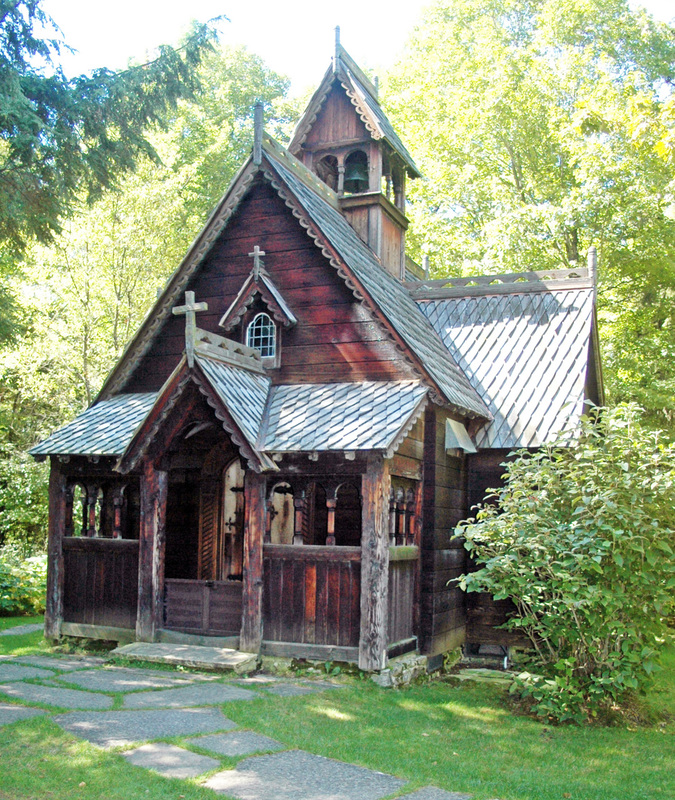 Helen regularly offers workshops at Lawrence University's northern campus in Bailey's Harbor, Door County, at Björklunden Vid Sjön. Plan to stay at the lodge or commute, but sign up soon because the workshop/seminars in this lovely place (with great food) fill quickly. Registration and fee information is available on the Björklunden website here. Registration and fee information will be available on the Björklunden website here. This year Helen is offering a private, independently organized three-day, five-night workshop at Björklunden. Registration above. Space will be limited, but there will be three prices: private room, shared room, and commuters. Contact Helen to register. Here is a blog article I wrote about one of the workshops there that includes some hints for new painters on how to do negative shape painting: Hungry for Art. Designed for artists with some experience (advance, intermediate, and advanced beginner). This is workshop designed to help individuals expand their authentic creative voice and subject matter in their art. Through a series of guided exercises using mixed media, participants will expand their iconography and move toward overcoming the internal censors that stop us from reaching our fullest potential as creatives.